Arguing that the “similarities are no coincidence,” the Satanic Temple tapped attorneys at the firm D’Agostino Levine to bring the complaint in New York’s Southern District. 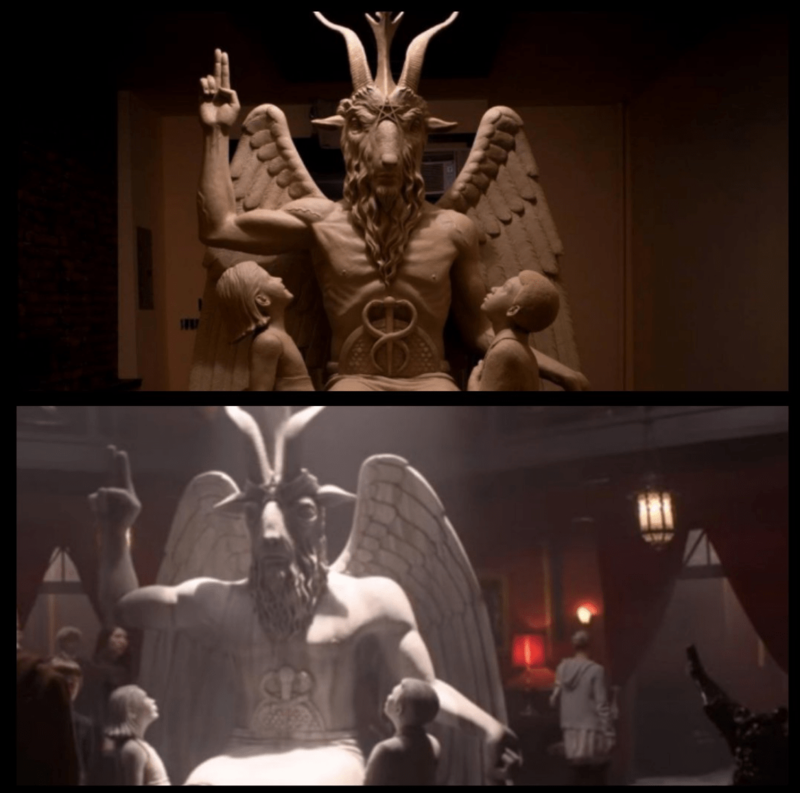 A congregation with roots in Salem, Massachusetts, the Satanic Temple says its famous statue depicting the Baphomet with children is the result of an 18-month project it commissioned from sculptor Mark Porter in 2013, costing $100,000. The Satanic Temple does not promote evil and “instead holds to the basic principle that undue suffering is bad, and that which reduces suffering is good,” the complaint insists. Their modifications include the use of a male torso and the placement a black male child and female Anglo-Saxon child on either side of Baphomet, positioned in the shape of a triangle. But the unique details of the temple’s statue are featured prominently in the copy featured on “Sabrina,” according to the complaint. In 2014, the Satanic Temple offered to donate the Baphomet statue to display its own religious monument after a statue of the Ten Commandments was donated to Oklahoma City by State Representative Mike Ritze and placed outside the Oklahoma State Capitol. Ultimately, the Oklahoma State Supreme Court ordered the removal of the Ten Commandments statue, and the Satanic Temple withdrew its request to place Baphomet on public property. The following year, amid religious controversy and protests, the Satanic Temple unveiled the Baphomet With Children statue to their followers at a warehouse rave, held at a secret location in Detroit in the summer of 2015. The ritual unveiling was headlined by Michigan experimental noise artists Wolf Eyes, whose John Olson called the unveiling event one of best performances of the group’s two-decade career in the darker underbellies of art and music. Netflix’s “Sabrina” series is a reboot of a 1990s television show “Sabrina the Teenage Witch,” which itself was based on the “Archie” comics series of the same name that was published from 1971 to 1983, and ran for 77 issues, later spawning a movie that starred Melissa Joan Heart. Warner Brothers declined to comment on the pending lawsuit. Representatives for Netflix did not respond to request for comment Thursday afternoon.